A Nunavut man is all smiles today after the aluminum fishing boat his family lost 13 years ago in a windstorm was found washed ashore on a nearby Arctic island, no worse for wear. 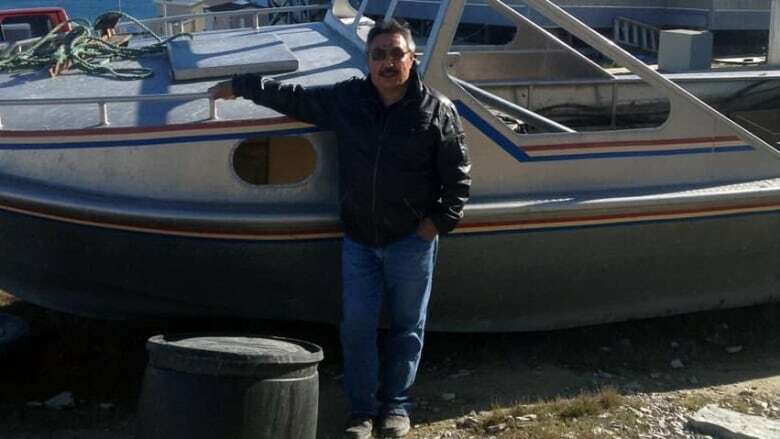 A man from Igloolik, Nunavut, is all smiles today after the aluminum fishing boat his family lost 13 years ago in a windstorm was found washed ashore on a nearby Arctic island, no worse for wear. Elijah Evaluarjuk told his amazing story to CBC's Qulliq radio show recently. Click here to listen to the entire interview. More than a decade ago, he explains, his brother and his brother-in-law were hunting caribou at Hall Beach, about 70 kilometres south of Igloolik, when they set up camp and went to sleep for the night. A wind storm swept up overnight with winds in excess of 100 kilometres an hour. They thought they had anchored the boat well, but Evaluarjuk says the boat was nowhere to be seen the next morning. "It disappeared," he said. "With the wind, it blew away." As the years went on, the family became less and less hopeful they'd ever find the 24-foot aluminum boat. Neighbours often told them it had been seen on various islands, but the details were never specific. "Rowley Island, Koch Island, Bray Island," Evaluarjuk says, "We were told it was in one of those." Then late last year, some guests were staying at Evaluarjuk's hotel, to hunt caribou in the same area. "I told the guys since they were going back and forth all the time, to keep an eye on any sign of our boat," Evaluarjuk says. Sure enough, two or three days later, when the hunters were preparing to head back down south, they spotted something glinting in the sun on Rowley Island. "They spotted a light, so they turned around," he says. "They took pictures of it and sure enough it was our boat." The hunting crew sent the picture and co-ordinates to him, but it was too late in the year to try to salvage the boat. "We were ready last week, but with the strong winds we couldn’t go," Evaluarjuk says. "When the winds finally died down on Sunday we decided to go to Rowley Island and sure enough we found it." Surprisingly, after more than a decade adrift in Arctic conditions, the boat is still sea-worthy. Polar bears in the area broke all the windows but the hull is still in good shape. And Evaluarjuk says it'll be back out on the water soon. "We’ll use it," he says. "Probably not this year, but I’ll get it ready for next year. "I never thought in a million years that we would get it back."